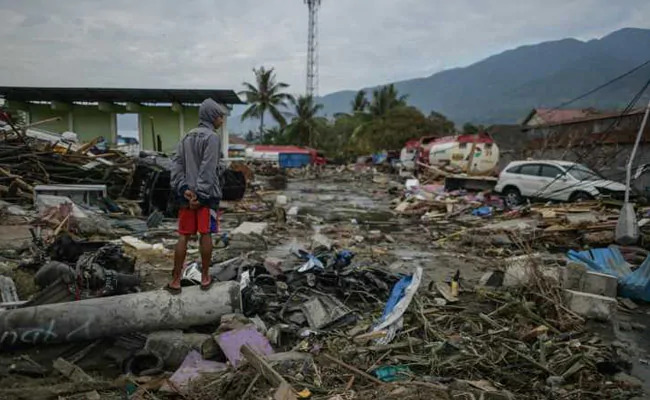 Two natural disasters have hit separate parts of Indonesia, with flash floods killing at least 50 people in the easternmost province of Papua and a landslide killing at least 2 people in Lombok. Indonesia National Disaster Mitigation Agency spokesman Sutopo Purwo Nugroho said in a statement that as of Sunday morning, 49 bodies have been identified. 42 people were killed in the town of Sentani, near the provincial capital Jayapura. About 9 houses, 2 bridges, and a Twin Otter plane parked at the region’s main airport were damaged by floods. Search operations are still underway. Authorities are unable to reach some of the hardest hit places because of downed trees, damaged roads and debris blocking their path. Sutopo said that it is likely that there are more victims to come because the area is still under an evacuation order, and has not been fully searched yet.